Lombard Street in San Francisco is probably one of the most recognizable streets in the United States. Its curves and switchbacks (added in 1922 to reduce the 27 percent grade on the block between Hyde and Leavenworth Streets) are filled with hydrangeas and other flowering plants. 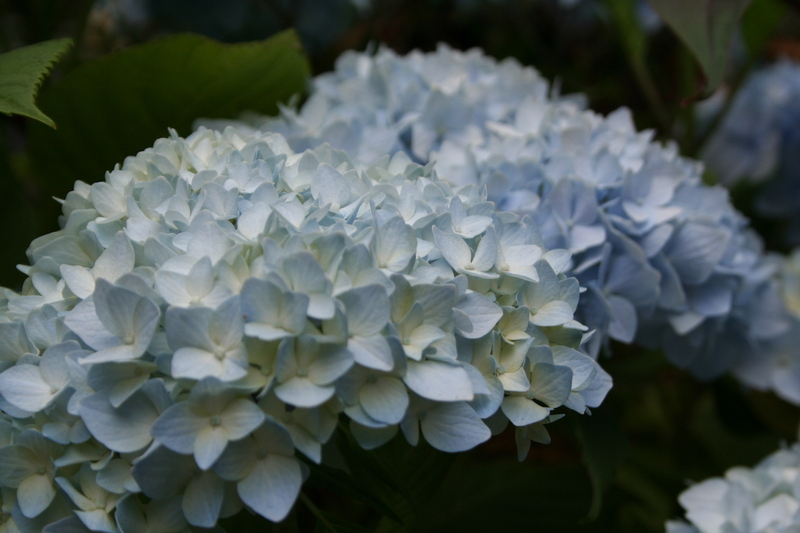 Last week, the hydrangeas were in full bloom, making the street a gardener’s heaven. 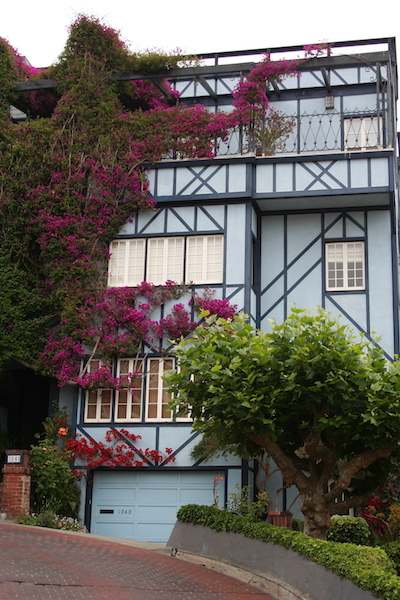 I walked up the street and then back down taking photos of the plants and the fabulous houses on this block. (Check out the vine in the photo at left.) I was joined by a large group of Italian tourists. Interestingly, and I suppose this reflects the rise of the Euro currency compared to the dollar, a casual observer would think most of the tourists in San Francisco last week were European. I’m not sure which hydrangea varieties are planted on Lombard Street, and suspect many of them would not grow in the Midwest. Hydrangeas like a soft, moist climate (a la the Pacific Coast) but more hydrangeas have been hybridized in the past decade or so that are winter hardy in Minnesota. An article in the next issue of Northern Gardener, available about June 25, will describe 10 hydrangeas good for our area. I found this blue one in a private garden near Coit Tower, which I visited the same morning. The flowers are about the size of your hand and perfectly formed. Wow.